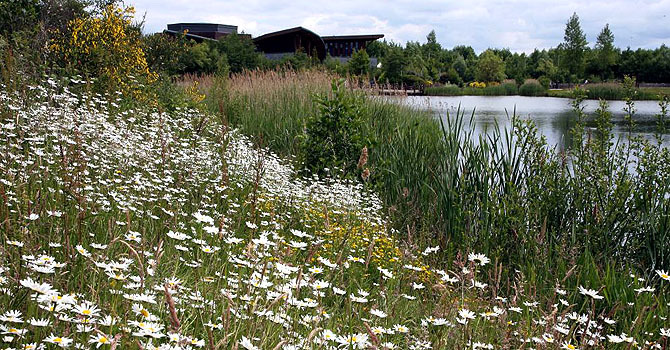 Come along and enjoy a tailor-made Team Building Day, set in the Heart of the National Forest. This fun-packed experience is essential for all you budding adrenaline junkies out there! A really great way to build confidence and conquer your fears! Following a safety briefing from one of our instructors, get harnessed up and off you go to take on one of Conker’s adrenaline pumping aerial challenges. There are five elements to choose from. Children aged 5 plus and over 1m tall can access both the low ropes and the climbing wall, while children 8 plus and over 1.4m tall can access any five elements. Discounted Group Bookings for Ropes Activities are only available during Term-Time. Each activity costs £4.50 per participant in addition to the Admission or Team Building Package Price. 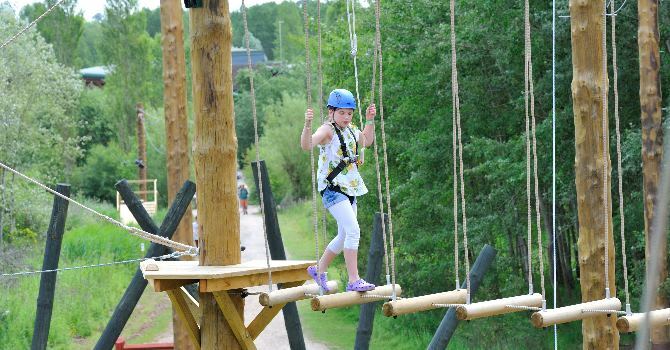 THE HIGH ROPES ADVENTURE has 12 aerial sections to complete – with climbing nets and high level walkways. The High Ropes course is approximately 10 metres above ground but participants are always clipped on to the safe roller system. THE LOW ROPES COURSE is just the ticket for junior visitors to traverse and build confidence – offering 9 different and exciting challenges. The course is up to 3 metres above the ground and participants are always clipped on to the safety rail as they negotiate the obstacles and there’s always help at hand if you get stuck. THE CLIMBING WALL is approximately 10 metres high – it has many routes and uses 2 auto-belay systems to ensure that climbers are always safe. THE AMAZING POWERFAN DESCENDER is 13 metres high – step off the platform and into the void and you will experience the sensation of free-falling – before your descent is slowed at the last minute – a real leap of faith! Best of all - THE FAST AND FURIOUS 100 METRE ZIP WIRE – is a great way to finish the course! All of the sessions are led by one of our instructors. All Group Bookings are to complete a Ropes Disclaimer Form, to include all participants which must be presented on the day of their visit/booking. A Ropes Activity Risk Assessment is provided to all bookings.